There are many fascinating places on our planet. Some are created through nature and some have been created by the imagination and skill of human beings. One subject that intrigues me is architecture and how that expression of creativity and function is all around us. I'm always enthralled by wondering how different structures came to be, from the idea through to the completion. 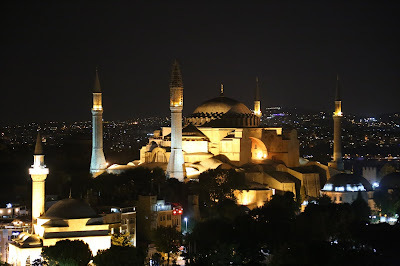 I was recently was given the opportunity to see the documentary, The Unshakable Hagia Sophia by Gary Glassman, which looks at one of the world's most magnificent structures, the Hagia Sophia. I was fully absorbed by the film as experts investigated how it has remained standing for 1,500 years. The Hagia Sophia is located in Istanbul and is one of the most visited sites there. 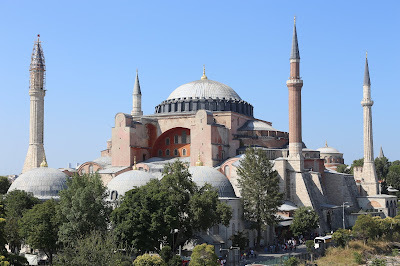 It was originally commissioned by the Byzantine Emperor Justinian I in 532 AD. The building remained a Christian basilica until 1453, when it was converted into a mosque after the city fell to the Ottomans in 1453. Since 1935, it has been a secular museum. It is open for all to experience its remarkable dome and glorious art. Istanbul sits precariously close to a major fault line and has withstood many earthquakes over the centuries. One question for experts and visitors has been...how has the building survived so many threats from various earthquakes? A team of architects, engineers, and scientists have been studying the structure in order to uncover its secrets of longevity. They have used radar, laser, computer technology and various other techniques to discover what is continuing to hold up the walls of this massive building. I found it very interesting to watch the team build a model from bricks and mortar and then place it on a hydraulic platform in order to put the structure through various tests. The painstaking detail was fascinating because they had to get the dimensions just right after scaling down the model to a workable size. Their challenges were a lesson in trial and error. 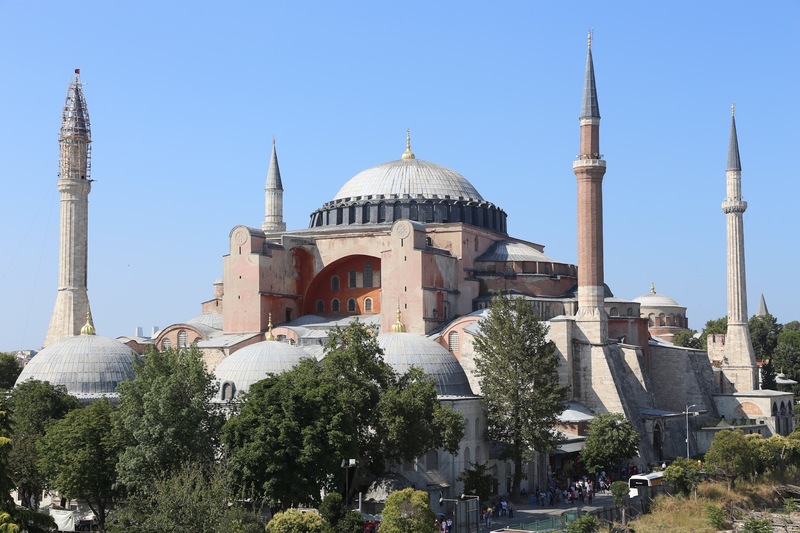 Istanbul may very well face more earthquakes in the future and scientists are doing their best to understand how they can help the Hagia Sophia last for another 1,500 years. Nothing is immune to the destruction of natural disasters, but this team's research can hopefully shed some light on the future of this magnificent structure. This documentary has certainly made me very interested in learning more about the Hagia Sophia. The architecture is truly extraordinary to behold. The Unshakable Hagia Sophia will be shown on Tuesday, August 18th on PBS America in the UK at 7:50pm and 11:40pm. It will also be repeated on Wednesday, August 19th at 12:25pm and 5:30pm. PBS America can be viewed on Sky channel 534 and Virgin Media channel 276.